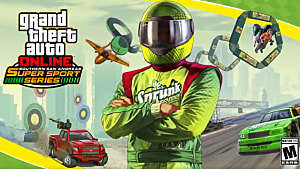 The latest update for GTA Online, titled “The Smuggler’s Run,” added a new adversary mode to the game called Motor Wars. 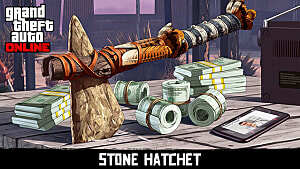 It's a Battle Royale mode that puts 2-4 teams of 4-28 players into a post-apocalyptic warzone littered with weapons and vehicles. 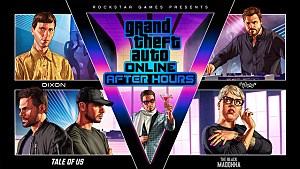 The mode is very similar to another popular Battle Royale shooter -- Playerunknown’s Battlegrounds, and that’s why this GTA Online mode is now ironically called “GTA 5 PUBG.” However, in Motor Wars you play in a team of several players against other teams. So it's a true team-based cooperative shooter that is quite different from PUBG. 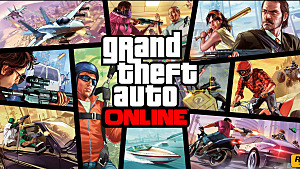 In any case, whether you are an experienced player or you’ve never played a last-man-standing Battle Royale kind of game in your life, this guide will give you a few essential tips on how to get going in this new and fun adventure from Rockstar. Every round of Motor Wars starts with a typical drop from the plane and a parachute-assisted landing -- just the way you start in PUBG. 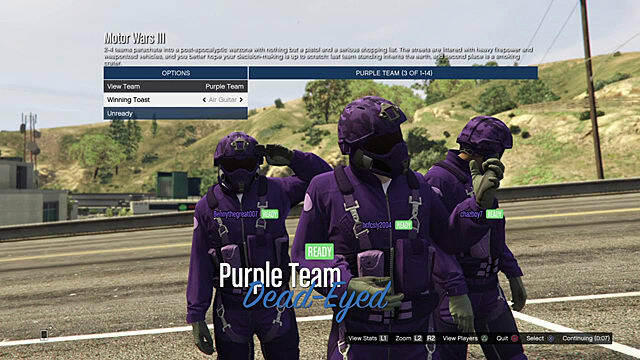 However, unlike PUBG (where you are first determined to get a better gear and weapons from the nearby buildings and then search for a transport), in Motor Wars it is far more important to get yourself and your teammates into a vehicle before anything else. Why? 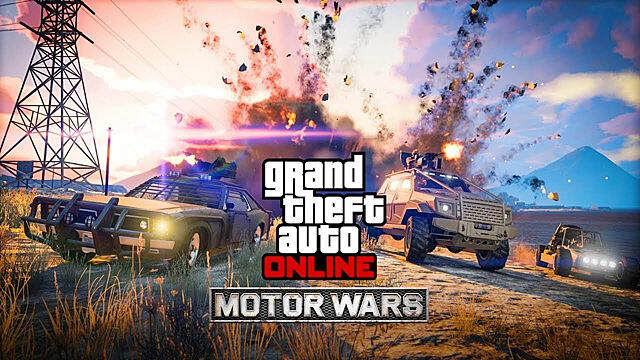 Because the cars in Motor Wars are not ordinary cars -- they're military vehicles equipped with powerful turrets and machine-guns. 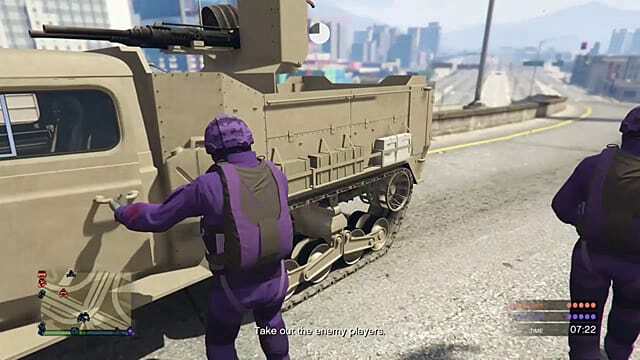 Remember that there are three other teams looking for the best and quickest ways to kill you, so having such a vehicle would give you a massive advantage. 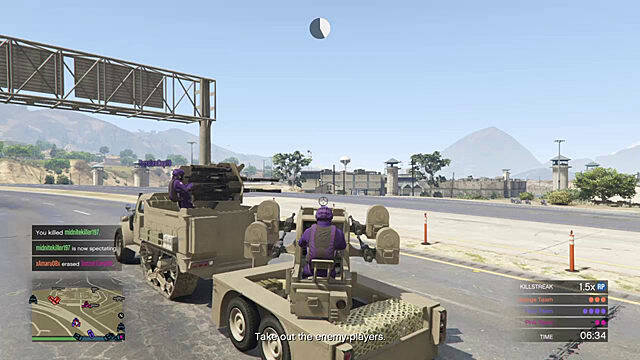 A military car is capable of protecting you and your teammates, letting you move around more quickly so you can gather together the rest of your team, and shoot the enemies on the spot. Here is another significant distinction from PUBG -- you need to be co-operative and play for your team. 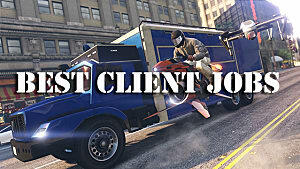 Motor Wars is not a 1v1 mode, but a team vs. team mode where teamwork is the guarantee of your victory in each round. Everything should start with communication and planning out a common strategy. Then, when you land on the map, try to stick to at least another one of your teammates so that it won’t take you an infinity to find each other. Unfortunately, many new players find it more fun to go on their own little journey, but usually this ends up in a quick death and a lost round for your team. So if you do decide to play the game, then you should work for your team and not against it. Your highest priority on any of the seven available maps in Motor Wars is to find the most efficient way of dealing with the enemy vehicles, whether you want to blow them up with a bazooka or crash into them with your own armored car. If your enemies are driving such an armored vehicle, the only way to get them is to shoot precisely through the windows. Since each team consists of several players, it would be wise to split into two to three subteams and find a separate car for each of them rather than trying to jam into the same vehicle. 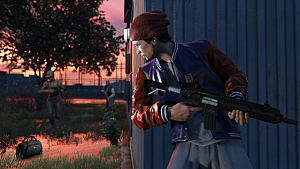 One of the two teammates should operate the vehicle itself, while the other one should be controlling and shooting the weapon. The winning strategy requires you to locate the enemy vehicle and try to block its path from several directions, and gradually narrow down the area of interception. As soon as you approach the enemy team, you need to make sure that they leave their car so that you can easily finish them off in the open. In case a big shootout takes place in such an open area, try to locate the highest point and get there. You will see and aim much better from above than you would if positioned on the same level as your enemies. You’re not always going to be in a winner’s position. So how do you try to prevent yourself from dying? 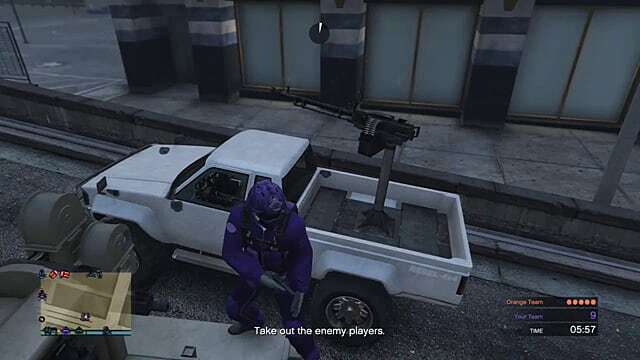 If you’re being threatened inside a vehicle, you should immediately leave it and run to the closest hiding place, preferably where an enemy vehicle will not be able to get you too swiftly. Then, check your mini-map for the location of your other teammates and try to move closer to them. If you can find another vehicle or a good weapon on your way, then it would be a plus. Protect your teammates with a covering fire and get to the safe area, but try not to leave the bounds of the map too far away. Lastly, don’t worry too much if you do get shot -- you will continue following the round in the role of a spectator. 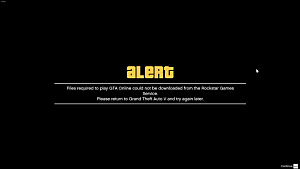 After that, you can return to the game and play another round just like nothing happened.